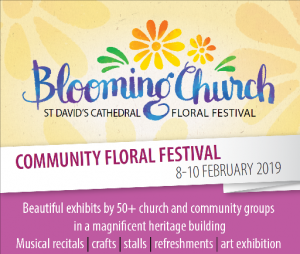 Members of Botaniko have been invited to display their latest exhibition, the Royal Tasmanian Botanical Gardens Bicentenary exhibition at Blooming Church, St David’s Cathedral Floral Festival. The exhibition – Celebrating 200 Years through Botanical Illustration – will be in the Cloister from 8-10 February 2019. Botaniko has also been invited to participate in a floral art display.